It’s been a dateless year thus far so, I try my best to get creative! Paired with #selfdates I have foods by the same name to use as a supplement. Every few months I get an inkling to give up sugars. I mean, I give up any sort sugar that isn’t natural. Nothing processed and no sugar replacements. Me, being myself, an admitted sugar loving addict, I manage to find interesting ways to entice my sweet tooth. 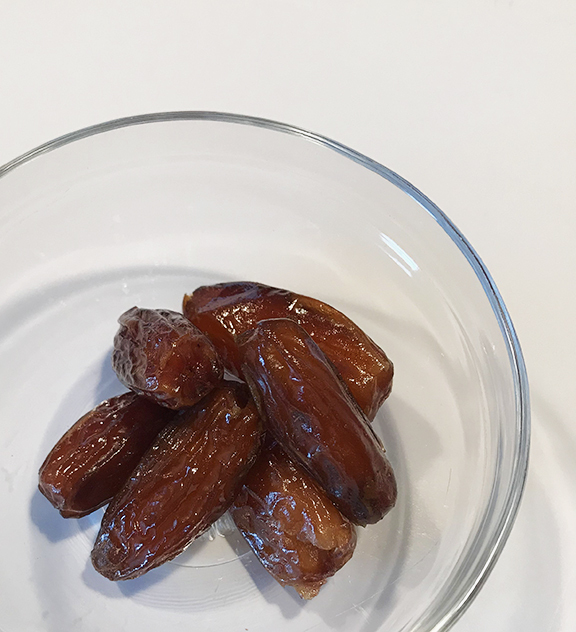 My favorite sugar curbing snack are DATES, specifically Majool dates! They are hearty, full flavored and sweet, and best of all – easy. 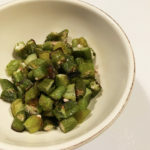 2 of these gorgeous fruits after lunch or dinner are almost as good as a Snickers bar, but with much less sugar and plenty of healthy benefits. 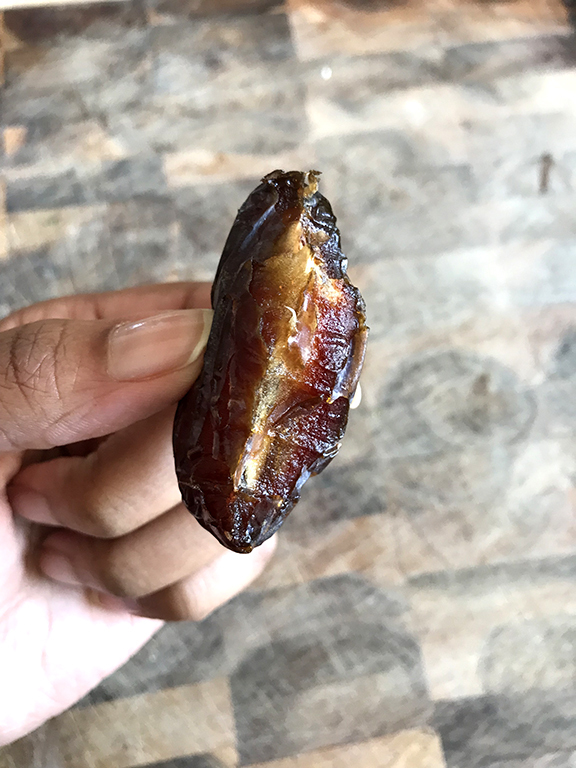 Regular dates are just as tasty, but the Majool variety is larger and meatier. A few added bonuses include aiding in digestion and high fiber value. 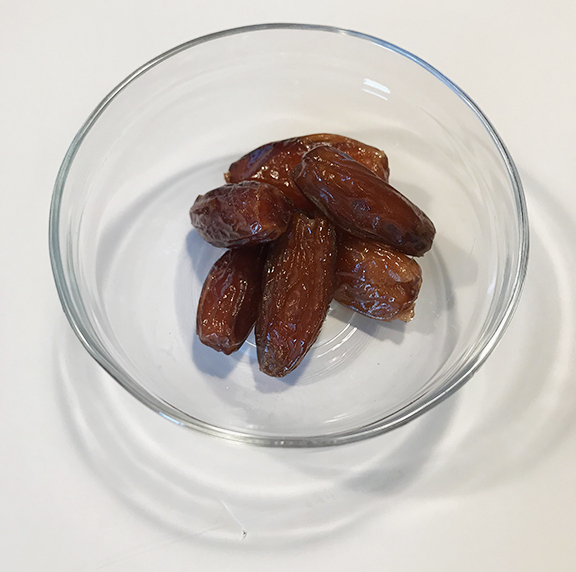 Remember as a naturally sweet snack they are still high in sugar so 1 Majool date or 3 regular dates will hold you over, keeping you under 100 calories. 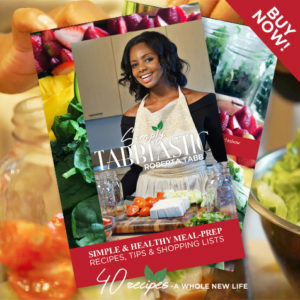 Moderation is key even with natural foods. 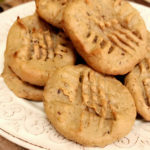 Try my date and peanut butter cookie recipe, Literally 5 ingredients and 20 minutes of your time!